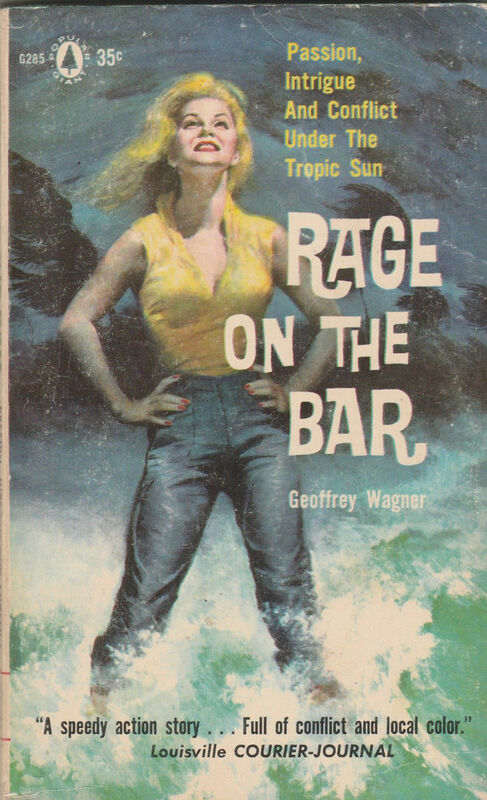 This coiorful novel of the tropics probes one of odays rnost4 explosive issues — racial tension on a sun-drenched Caribbean island .. . where white oppres-sion drives the natives to unspeakable atrocities . . . and the jaded ruling class drowns its guilt in orgiastic parties and pleasures . . .